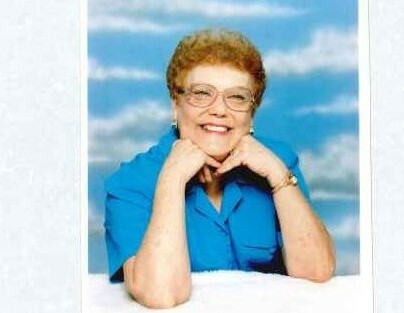 Arlene was born on August 20, 1932 to Everett and Leona (Weir) Raymond, in Rosston, Oklahoma. Arlene grew up in Buffalo, Oklahoma and graduated from Buffalo High School in 1950. Arlene worked for the Oklahoma State Bank for 27 years, Grace Living Center for 17 years and retired from being Harper County Treasurer after 14 years of service. Arlene enjoyed spending time in her yard taking care of her yard, and spending her time on her IPad. Arlene loved watching Wheel of Fortune. Arlene was preceded in death by her parents Everett and Leona Raymond, sisters; Eva Jolly and Alice LaMunyon. Arlene left her earthly home on Friday, July 27, 2018 at the Harper County Community Hospital, in Buffalo, Oklahoma. Arlene is survived by daughter, Tammy Combs and husband Doug of Woodward, Oklahoma; grandchildren Justin Elliott and wife Joanna of Woodward, Oklahoma, Landon Combs and wife Sarah of Richmond Virginia, Brooke McGahen of Woodward, Oklahoma; five great-grandchildren Clarissa, Drew, and Lauren Elliott, Charlie Combs and Kinlee McGahen; other nieces and nephews, many family and friends.